(CNN) - Hotels set the stage for nearly a third of all disease outbreaks in the United States linked to chlorinated or treated water -- such as pools and hot tubs -- between 2000 and 2014, according to a new government report. During that 15-year period, a total of 493 outbreaks linked to treated recreational water were reported in 46 states and Puerto Rico, the report indicates. All told, these outbreaks caused at least 27,219 illnesses and eight deaths, according to the U.S. Centers for Disease Control and Prevention's Thursday Morbidity and Mortality Weekly Report. The culprits: parasites and bacteria. More than half (58%) of the outbreaks with a confirmed source were caused by the parasite Cryptosporidium, commonly called Crypto, which can survive even in well-maintained pools and can give swimmers gastrointestinal illness and diarrhea. At least six of the eight deaths and 16% of the illnesses could be attributed to bacterial Legionella, which causes Legionnaires' disease, a severe pneumonia, and Pontiac fever, a milder flu-like illness. Another type of bacteria, Pseudomonas, which can cause folliculitis ("hot tub rash") and otitis externa ("swimmers' ear"), sickened nearly 13% of those enjoying recreational waters. Both Legionella and Pseudomonas can withstand disinfectants. What's a swimmer or parent of swimmers to do? "The advice is pretty standard no matter who you are," said Michele Hlavsa, lead author of the report and chief of the CDC's Healthy Swimming Program. "Once in the water, don't drink the water you swim in." "Also, before you get into the water, check out the inspection scores," Hlavsa said. 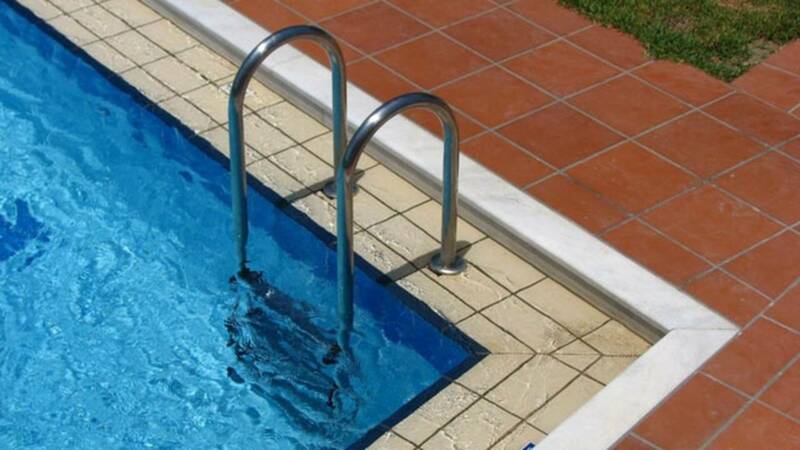 Just like restaurants, public swimming pools are scored by inspectors, and many will post their scores either online or near the swimming facility itself. Hlavsa, herself a mom, advocates for do-it-yourself water testing as well. After all, hotels, community pools and recreational hot spots probably are not checking their water every day, and pool chemistry changes all the time. Pool supply stores and big box stores sell inexpensive test strips, which test for chlorine and pH, she says. If levels are unsafe, as indicated on the CDC website, don't swim. While outbreaks caused by crypto increased 25% a year during 2000-06, the upward trend stopped after that, Hlavsa said. "Still, we saw a doubling of Crypto outbreaks for the single year 2016," she said. Meanwhile, the annual number of Pseudomonas folliculitis outbreaks decreased by an average of 22% per year. Finally, two out of every 10 routine inspections of public hot tubs or spas during a single year (2013) -- about 2,773 of the total 13,864 inspections -- indicated improper concentrations of disinfectant, according to the report authors. "Any child or adult having diarrhea should simply not be in a pool, hot tub or water playground," said Dr. Robert Glatter, an emergency physician at Lenox Hill Hospital in New York. "The message is simple: Keep your children out of the pool or hot tub if they are having diarrhea. We are talking about preventing an illness by prescribing basic hygiene," Glatter said. "If Crypto is confirmed, it's essential to remain out of the water for two weeks." Hlavsa said the new report is simply an opportunity to get the message out: Check and test the water before diving in, and never drink it: "We are by no means saying not to swim."